Stunning handmade glass wall clock. 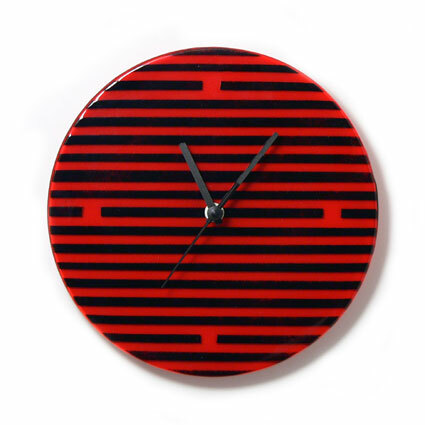 Set with a red background with fused glass retro black stripes on top. The use of powdered glass results is a subtle sprayed effect within the glass. A nice sized 22cm diameter.